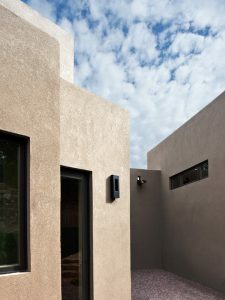 Archaeo Architects are the recipients of the 2011 “Grand Hacienda Award” from the Santa Fe Home Builder’s Association for the Van Drimmelen/Gore residence. 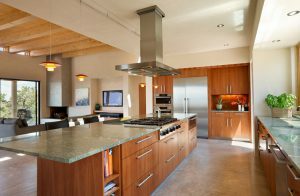 The home also captured awards for best overall design and best kitchen. Hundreds of people toured the home as part of the Parade of Homes over two weekends in August and Archaeo was interviewed on KTRC 1260’s “Real Estate Today”. The Santa Fe radio station inquired about the design process of capturing the amazing Jemez Mountain views as well as meeting the challenges of the steep narrow site.